Sanitary pumps are often required in the food processing industry to ensure that sanitary standards are met during the processing of liquids. Types of sanitary pumps include centrifugal, drum, container, flexible impeller and rotary lobe pumps. Depending on the type of sanitary pumps used, liquids can be mixed, transferred, unloaded and processed. Likewise, high-pressure pumps can be used to clean food processing equipment in compliance with sanitary standards. BPH Pumps carries a large selection of sanitary pumps to meet specific food processing applications. Our sanitary pumps are high-quality products from industry leading manufacturers. Based on your application specifications, we can find the right sanitary pumps to meet your needs. 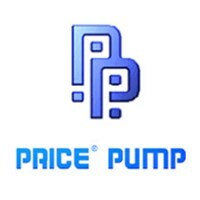 Browse our inventory of sanitary pumps below.